Bill Prater, owner of Federated Car Care Center Forest Park Auto Repair in Cincinnati, Ohio, was chosen as the winner of the Federated Spring Training contest. Prater received a trip for two to Fort Myers, Florida, where he attended two days of training courtesy of AVI and an exciting spring training baseball game between the Boston Red Sox and Pittsburgh Pirates. 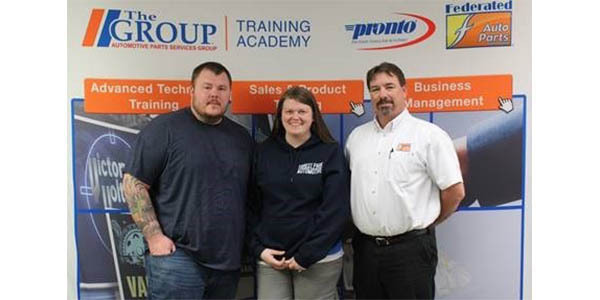 Prater, a Federated Car Care Center customer of Fisher/KOI Auto Parts, was eligible for the contest by enrolling in The Group Training Academy. In addition, he received an extra entry for taking the online course, “7 Ways to Improve Cash Flow and Increase Profit,” presented by acclaimed industry instructor Bill Haas. While attending the AVI Spring Training Conference, Prater received additional technical and management training from industry-leading instructors and had the opportunity to share best practices with other conference attendees. For more information about The Group Training Academy, contact a Federated Auto Parts distributor or visit www.TheGroupTrainingAcademy.com.